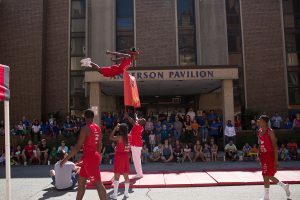 CHICAGO, IL (September 21, 2018) – Swedish Covenant Hospital trained hundreds of people in bystander compression-only CPR Saturday during a community event that also included fun activities for kids. Seventy percent of all out-of-hospital cardiac arrests happen in the home, so it’s likely that anyone who learns CPR skills will use them on someone they know. According to the American Heart Association, only 10 percent of the 350,000 people who suffer cardiac arrest outside of the hospital each year survive. Studies have shown that survival rates can triple if bystanders administer CPR. 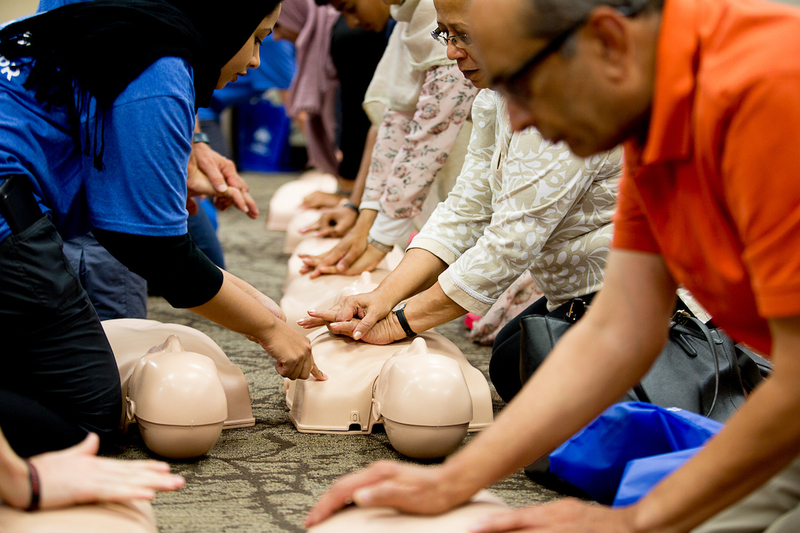 Swedish Covenant Hospital already has trained 1,000 people in bystander CPR and that has led to an increase in survival rates for cardiac arrest patients. The hospital will continue to offer the bystander CPR training to local schools, faith communities, and other neighborhood organizations. This program is made possible through a grant from Illinois Heart Rescue and the Swedish Covenant Hospital Foundation.